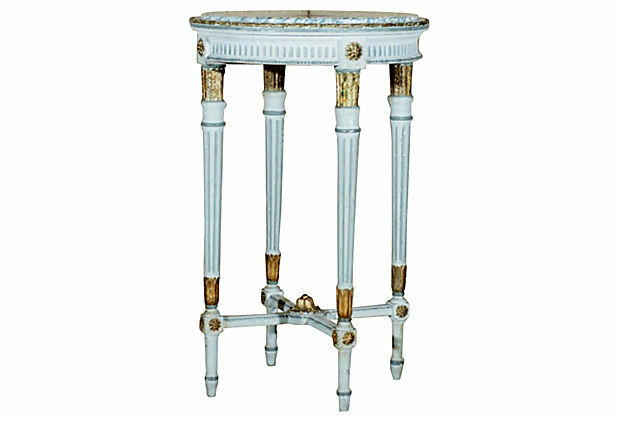 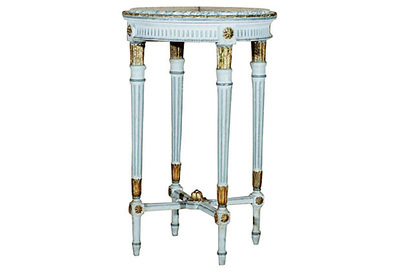 Early-20th century French Louis XVI style guéridon painted French blue with gilt trim and rosettes over the tapered, fluted legs. 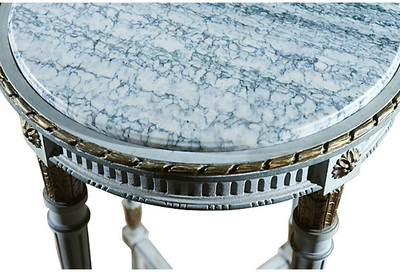 Fitted with a molded-edge marble top. Paris, France.